Guess what? 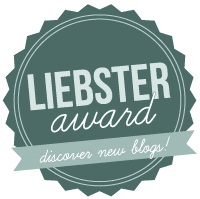 I was nominated for the Liebster Award thanks to the lovely Lauren Binley from My lavender Tinted World and I'm very very happy! some great things are happening to my blog and it makes me feel very proud about myself, but that is thanks to you who give me a little bit of your time to read me and share my work. 1) If you could choose what your last meal was, what would you choose and why? A big plate of sushi (and when I say big I mean huge, ok?) because there is something about sushi that drives me crazy I don't know how a little tiny bit of food can have many different flavors in only one bit. I love sushi! 2) You've just won £20million (or your equivalent currency) on the lottery, what is the first thing that you would buy? My heart says shoes my head says a house, I think it would be the house. 3) If you could only watch one film for the rest for your life what would you choose? I watched mean girls 5 times on a row the same night because I was to lazy to get the remote and chose another DVD, so I would say mean girls since I'm kind of used to watch it. 4) Which Disney character is your favourite? Of all the characters in the world mickey mouse has been my favorite since I have memorie. 5) Do you have any other creative interests other than blogging? 6) Describe your favourite color. I always say is yellow, but I don't know I usually buy purple things and I like red furniture and black clothes. 7) What is your biggest goal/desire? I want to be successful as a profesionist. I'm a chemistry engineer and I would like to be quality or security supervisor. But who knows I wouldn't mind success as a blogger either. 9) You have been given the chance to visit any country in the world for as long as you want with all expenses paid, which country would you choose? France, I've been there before but I can do that again I think it is a place who has it all : beautiful places, different cultures, delicious food and sunny beaches! 10) Coca cola or Pepsi? 11) If you could time travel to any era which one would you choose? I know should nominee 11 bloggers but I don't know many bloggers with less than 200 followers, but I really think those bloggers deserve more recognition!! 1)Why did you start a blog? 2)What is yhe think you like the most about blogging? 3)What makes you different as a blogger? 4) What is your better life experience. 5) If you could do something to change another person life, what would it be? 6) If you could have 50 lbs or anything other than money, what would it be and why? 7) If you had a choice to be any animal, what would it be and why? 9) What's the name of the last book you read? 10)If you could meet any celebrity who would it be and what would you ask them? 11)Where did you went on your last trip and what did you love the most about that place? Nominate 11 other bloggers who have less than 200 followers.